The new stage has been built much larger so it can handle bigger acts and improve sight-lines. 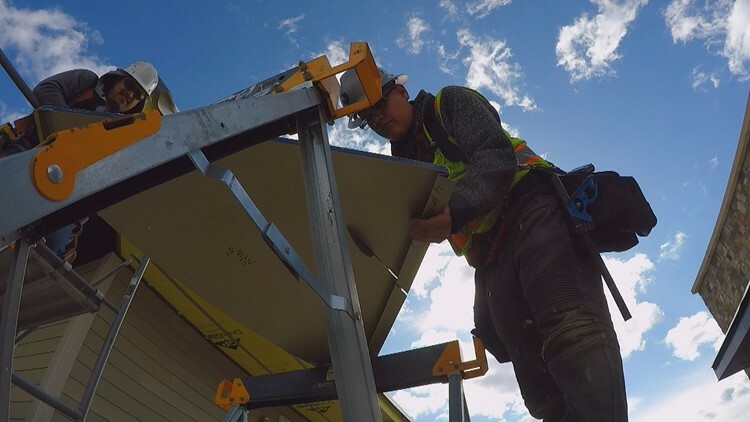 Along the frozen Dillon Reservoir, Joe Zach and his construction crew have spent nearly a year working in the Colorado mountains on a special project in the town of Dillon. “It’s very interesting; we love it up here,” Zach said. 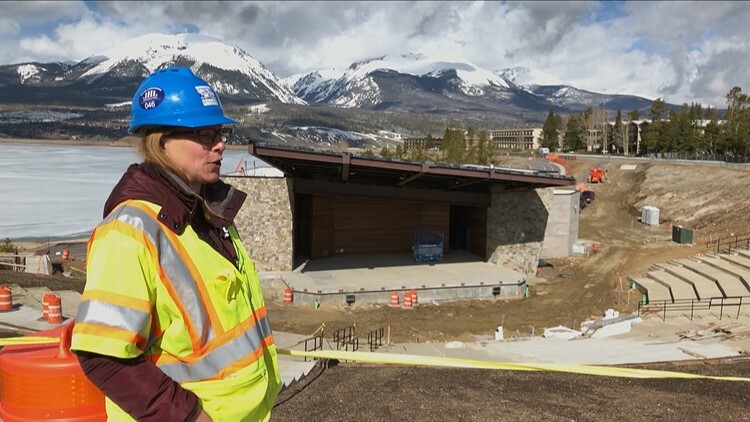 The group is working their way through some Dillon Amphitheater improvements, which Kerstin Anderson with the Town of Dillon said started by taking down the older, outdated building to make room for a new $9 million amphitheater. “We have a million dollar facility to match our million dollar views,” Anderson said. 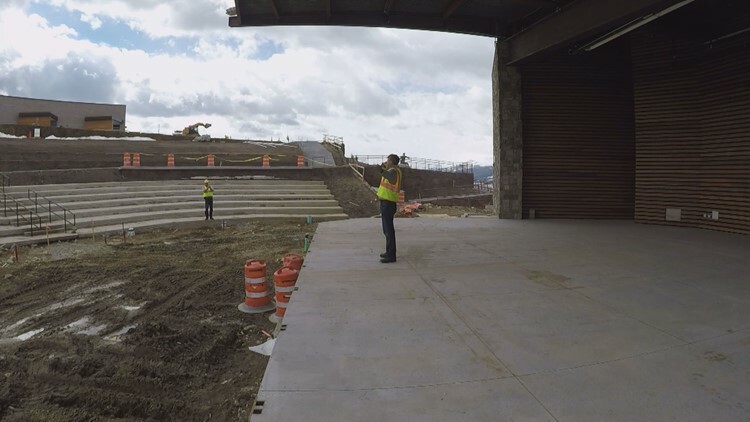 Just like the older building, the new amphitheater will be capable of seating more than 3,000 people, and at times as much as 5,000 – but the new stage has been built much bigger so it can handle bigger acts and improve sight lines. “We pushed the stage back toward the [recreational] path to get better lines of sight,” said Anderson. There’s also backstage and green rooms for those bigger acts, along with more restrooms right up against Lake Dillon and surrounded by mountain views. “We really feel that we have an opportunity to own a special spot in the outdoor music venue lineup,". We just really think this could be one of the great outdoor venues in the nation,” Anderson said. It’s a special spot that, after nearly 30 years in construction, has given Zach the best office views of his career. “This is amazing up here, all the office guys in the city love it – they’re all jealous,” Zach said. The first concert on the new space will be in June, and the town will be offering free concerts on the weekends, as well as paid concerts. You can see the entire summer lineup at the new Dillon Amphitheater by clicking or tapping here.